Matt Zeiner, piano and vocals. 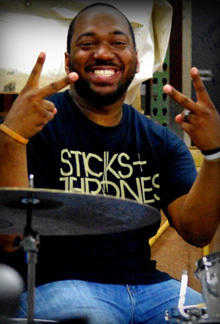 Dexter T. Pettaway Sr., drums. 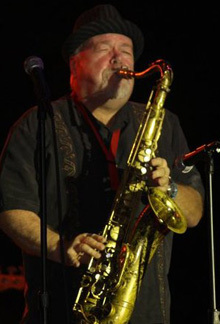 Jimmy Biggins, tenor sax and percussion. It took little convincing for Matt to leave college and pile into a van to tour with Matt "Guitar" Murphy of Blues Brothers fame. Matt Murphy was Zeiner's first serious education in the blues, but Murphy was more than just your average Bluesman. 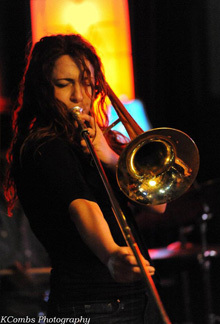 Matt's band was made up of himself and a group of top-notch New York jazz musicians. The band played everything from hard jazz-fusion to straight blues. Murphy, himself an excellent jazz player, encouraged the band to stretch out and play whatever they wanted. It was all about the music and the wonderful fusion that comes from having such a diverse group of musicians. Then in 2000 Zeiner got a call. He was told that Dickey Betts (Allman Brothers Band) was putting a band together and needed a keyboard player and vocalist. Zeiner jumped at the opportunity and got on the first plane to meet Dickey. 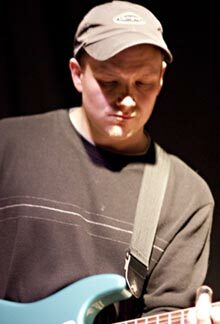 Matt’s musicianship and sound appealed to Dickey, who offered Matt to join them and hit the tour circuit with the new band. Matt said he came to realize that he had found a kindred spirit in Dickey, especially in terms of songwriting. Dickey picked two of Matt's tunes and asked him to rework parts of "Tombstone Eyes" so that Matt could sing the tune with the kind of conviction that such a piece of music demanded. Matt was able to add his own personal note to the tune without sacrificing the artistic intent and meaning that Dickey was so eager to put forth. After four years on the road, Zeiner was ready to come home and focus on his own growing material. He dedicated himself to recording in his home studio and soon formed his own band. Propelled by 2007 release, Live on a Summer Night, the band performed to live audiences throughout the Northeast, sharing the stage with Johnny Winter, Roomful of Blues, Jamie McLean, and Dickey Betts and Great Southern. The recording drew critical acclaim for the band and swelled the ranks of their fan base. The band stepped back from touring for a year to make some changes and give Matt a chance to collaborate with some other veteran artists, such as Melvin Sparks and CS&N guitarist Jeff Pevar. During the hiatus there emerged some new players and new material for the band, the product of which has spawned work on another album. An ambitious recording effort so far, the project already demonstrates Zeiner’s knack for writing infectious melodies complemented by tight arrangements from his latest players. Together, they tear into a catalog of original soul/R&B tunes, some funky vintage blues and a fresh take on some well-known rock standards. 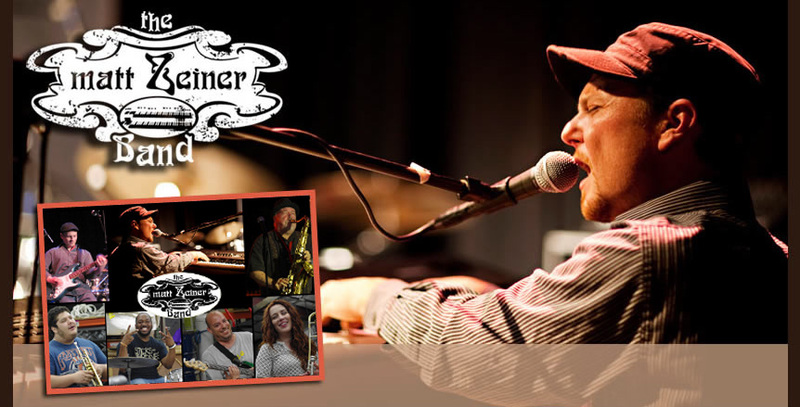 Born on February 10 1974, Dennis Fancher has been a fixture in the CT music scene for 15 years. A guitarist since age 12, he is a versatile and multi-faceted player. Dennis has gained notoriety for his bluesy guitar style that dips equally into realms of funk, jazz, and modern guitar stylings as well. He has been seen in many bands in the New England area such as The James Montgomery Band, Dr. Juice, and Spookie Daly Pride among others, and has shared the stage with many notables including Mike Gordon (Phish), Max Creek, Oteil Burbridge and Jaimoe (both of The Allman Brothers), and Texas blues legend U.P. Wilson. His vast list of influences, which is much too long to list entirely, includes Robben Ford, Larry Carlton, Wayne Krantz, Pat Metheny, Jeff Beck, The Allman Brothers, Steely Dan, and Eric Clapton. 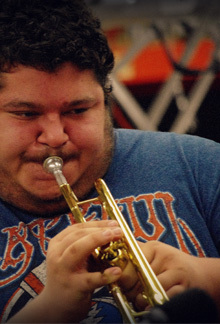 A versatile multi-instrumental player, Ed joined the Matt Zeiner Band in 2013. He mainly plays a G&L 5-string electric bass and a Fender fretless, plus offers support on acoustic guitar and vocals. 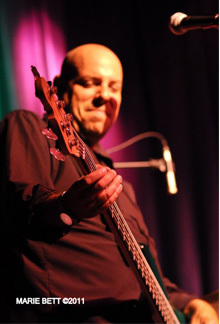 In addition to the Matt Zeiner Band, Ed also regularly plays with renowned guitarist Danny Kortchmar and with Connecticut-based bands Soul Tsunami, The Colby’s, the Michael Cleary Band, and The Cartells. And once a year, Ed heads down to Nashville to sit in with Stacy Mitchhart at BB King’s blues club. Ed has been in the music scene since his early teens. He somehow managed to play over 200 gigs a year in high school and still graduate. 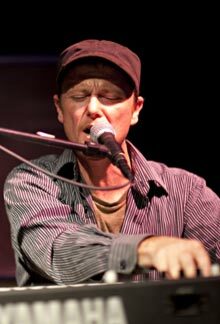 By the age of twenty, Ed became a core member of the Michael Cleary Band and began freelancing with a number of great players in the Hartford area, notably Jeff Pitchell, The Savage Brothers, and Ray Morant with The Monster Band. Patrons of Sully’s Pub in Hartford, Connecticut will recall Ed’s weekly stint in a killer band with Morant, Matt Zeiner, Ed’s brother John Corvo, Jon Peckman and Chip Fenney. Since those days, Ed has been performing with a number of different projects playing rock, funk, blues, jam, reggae, jazz, and swing. In the studio, Ed has recorded with several popular Connecticut bands and singer/songwriter artists.